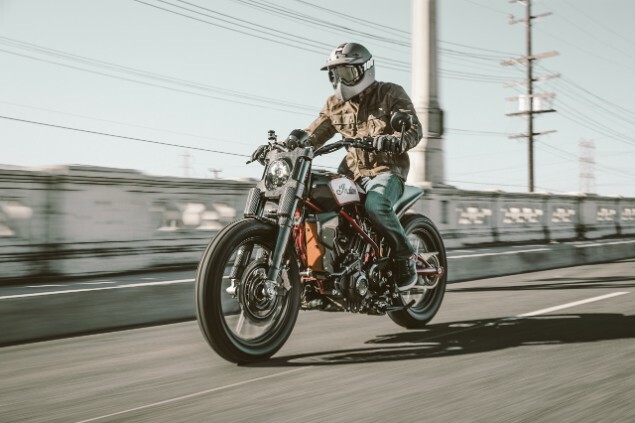 Just two months after the boss of reborn Indian Motorcycles confirmed the flattrack-inspired FTR1200 will be making it to production, these patent images have revealed what’s going to be underneath the bodywork. The bike was confirmed to be heading towards production earlier this summer and followed months of speculation about what the future held for bike that was shown as a prototype. 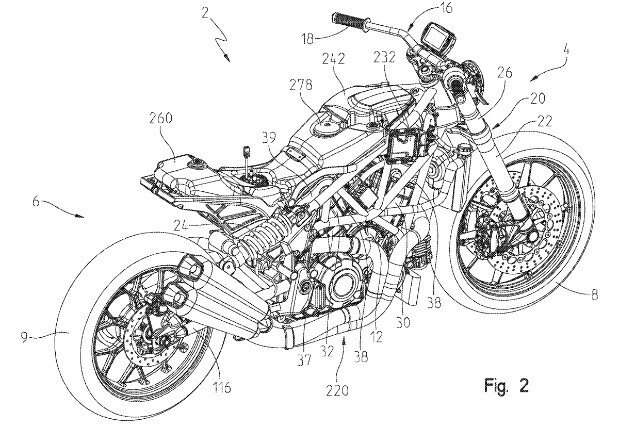 Now, official patent drawings have been lodged with the United States Patent and Trademark Office (USPTO) which, despite being line drawings, give a great insight into what the bike is going to look like in terms of the engineering. The only element the line drawings don’t cover is the bodywork that will be used but considering the flattrack style of bikes are minimally fitted out with bodywork, there’s probably not missing much from the overall design. The biggest question mark left by the line drawings is what the fuel tank cover, seat and rear seat cowl are going to look like. And from what Indian bosses have said so far, looking at the FTR1200 Prototype will go a long way to answering that. Also, there has been an non-authenticated spy shot that has surfaced online showing what looks very much like a styling test bike. Indian are not being drawn into commenting on this but it would appear to fill in the gaps of what’s missing from the line drawings filed as patents. 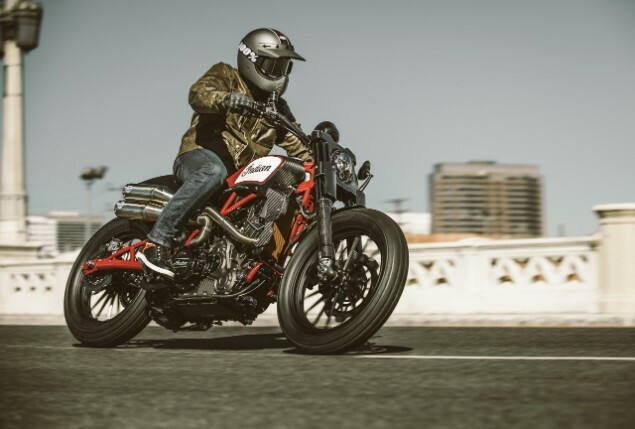 The FTR1200 Custom was revealed at the EICMA motorcycle show in Milan last year and it’s based on the FTR750 competition bike the company races in the American Flattrack racing championship. The promise of Indian bosses has always been the production FTR1200 would look as close to the prototype as regulations will allow; the line drawings confirm that appears to have been successful in terms of what we can see in terms of the engine, chassis and running gear. We expect the finished bike to be revealed at the Intermot motorcycle show in Cologne, Germany on October 1.